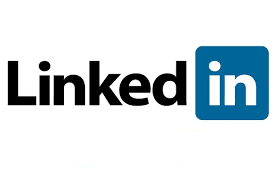 The professional social networking site, LinkedIn has plans to open up its vast trove of data to academic researchers for a better understanding of the market and the economy. The company has invited academicians to submit their study proposals in three areas: analytics, economics, and artificial intelligence. If a study idea is selected, then the researchers will get access to the robust data sets. According to LinkedIn Chief Data Officer Igor Perisic, the chosen researchers will get access to aggregate, anonymized data, however, they will be able to use it within a secure “sandbox,” means they cannot download data of their own. “In any research we conduct, we seek to ensure that the purpose of the research does no harm to our members, is done in accordance with ethical and legal standards and minimizes the amount of data that is accessed and used,” Perisic said in a blog post. Slamming the critics, the company said that this initiative is an expansion of a collaboration with outside economics researchers that the company had in 2015, which had some pathbreaking findings. They named this initiative as "Economic Graph Research Program." "These teams have already captured real-world economic phenomena at a level of detail and scale that rivals best-of-breed methodologies from agencies like the US Bureau of Labor Statistics,” Perisic said in his blog.